Hawaiian Airlines has announced it will begin daily non-stop flights between Sacramento (SMF) and Kahului, Maui (OGG) next year, offering convenient, direct access to the Valley Isle on the airline's new Airbus A321neo from California's capital city. Special introductory one-way fares are on sale now for travel beginning April 1, 2019. "West Coast travellers love Hawai'i just as much as we do, which is why we're thrilled to offer the convenience of flying straight to Maui amidst the comfort of our signature, award-winning hospitality," said Brent Overbeek, senior vice president of revenue management and network planning at Hawaiian Airlines. Hawaiian, Hawai'i's largest and longest-serving carrier, launched its Sacramento-Honolulu service in June 2002. The carrier currently operates four Airbus A321neos on the following routes: Portland and Honolulu and Kahului, Maui; San Diego and Kahului, Maui; and Long Beach and Honolulu. 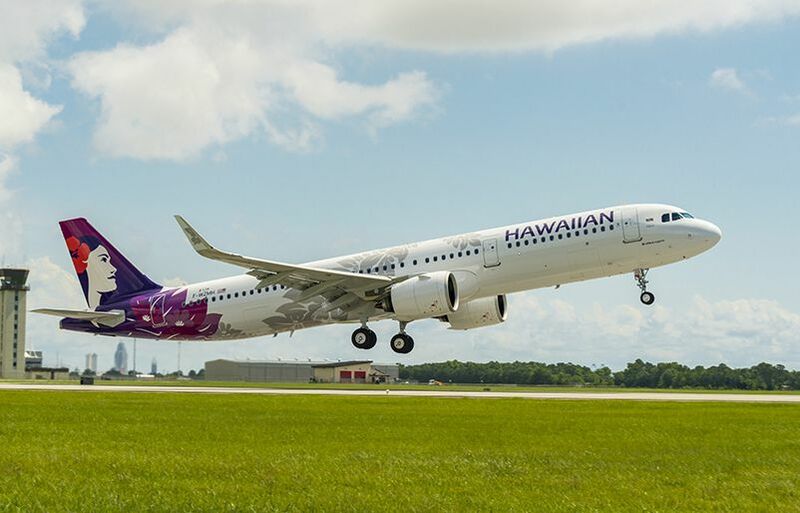 The highly efficient, mid-range A321neo aircraft complement Hawaiian's fleet of wide-body aircraft currently used for service between Hawai'i and 12 U.S. gateway cities, along with 10 international destinations. Hawaiian's 189-passenger A321neo includes 16 luxurious leather recliners in First Class, 44 Extra Comfort premium economy seats, and 129 Economy seats. In addition to Hawaiian's warm hospitality, including complimentary meals, guests will enjoy wireless streaming in-flight entertainment, access to USB outlets, and additional overhead storage space.